Satisfy your inner culture vulture at The Charles Hosmer Morse Museum of American Art and Pritchard House. Get in touch with nature at Beach at Daytona Beach and Cocoa Beach. 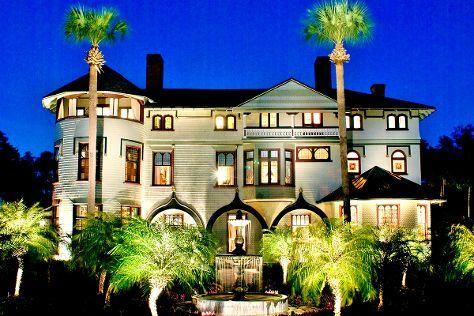 You'll find plenty of places to visit near Orlando: Parker Brothers Concepts (in Port Canaveral) and Stetson Mansion (in DeLand). Next up on the itinerary: see the interesting displays at Madame Tussauds Orlando and see the sky in a new way at Orlando Science Center. To find more things to do, photos, ratings, and tourist information, read Orlando vacation planner. If you are flying in from Canada, the closest major airports are Orlando International Airport, Orlando Sanford International Airport and Daytona Beach International Airport. In December, daytime highs in Orlando are 29°C, while nighttime lows are 17°C. Finish your sightseeing early on the 25th (Mon) so you can travel back home.